Costco (NASDAQ:COST) recovered nicely from its slow growth in the middle of the decade. However, COST stock has struggled since the company last reported earnings in early October. While the report affirmed its return to double-digit sales growth, it also revealed some internal control issues that may have rattled investors. Still, I think the bigger issue for the stock hinges on valuation. While its future still appears bright and its offerings remain reasonably priced, Costco stock has become pricey. 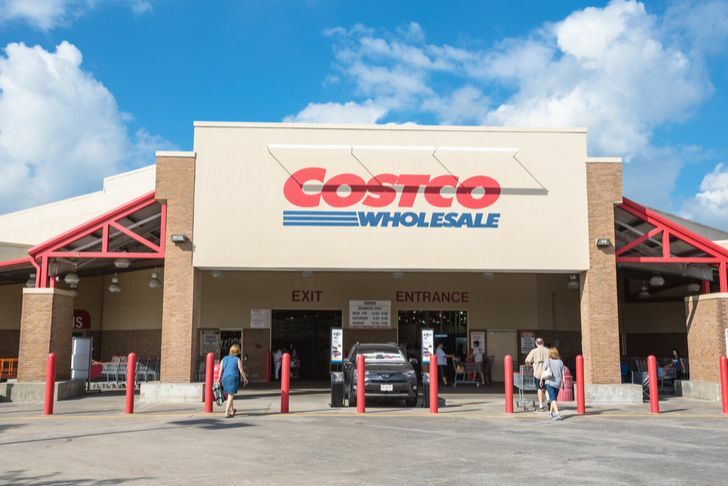 Although Costco stock will continue its long-term investors now, investors should hold out for a lower price before opening a position in this equity. Costco has become one of the best-run retail operations. Investors have responded well to its membership-based warehouse model. Its products usually sell for little more than the cost of goods sold plus overhead. Hence, the annual membership fee remains the primary source of profit for the company. These profits continue to grow as members keep signing up and renewing. The most recent report highlights these points. In that release, Costco also noted a 10.8% increase in sales for the quarter. It also revealed renewal rates of 87.9% worldwide, with 90.4% of U.S. members renewing. Walmart (NYSE:WMT) may own its primary competitor, Sam’s Club. However, it outperforms Sam’s on the revenue front even though Costco operates fewer warehouses in the U.S. As such, most analysts tend to view Amazon (NASDAQ:AMZN) as a more significant competitive threat. As with other brick-and-mortar retailers, COST stock suffered as many came to believe that Amazon would take over retail. Costco saw its revenue growth slow in both 2015 and 2016. However, the company responded with improved online offerings and by leveraging its physical locations. As such, Costco stock recovered. However, Costco made it through the 2008 financial crisis with only a one-time, 1% revenue decline in 2009. Hence, it should not come as a surprise that the company thrived amid the threat from Amazon. Unfortunately for those who want to buy COST stock, it does not enjoy the low pricing of Costco’s store offerings. Even during the Amazon-inspired selloff, Costco stock did not see much of a drop in its PE ratio. Today, the price has fallen from its 52-week highs. Still, at about $230 per share, the recent drop only took the stock price down by around 6% from those September highs. Even with that slight drop, the company still trades at about 30 times earnings. Whether a “sale” will come soon for Costco stock remains unclear, though possible signs have emerged. During its October earnings report, the company revealed an IT-related weakness in its internal controls. The stock fell by more than 4% following that report. Investors should also note that President andCEO W. Craig Jelinek sold 22,500 shares on Oct. 30, netting just over $5 million. Granted, Jelinek may have sold for reasons unrelated to valuation. Still, many observers will interpret that as a bearish signal. Either way, I think it serves as a reminder that valuation has moved ahead of fundamentals. COST has become an overpriced stock bolstered by a well-run company. Costco stock has recovered from its Amazon-inspired slump after the last year. However, the price has fallen slightly since its most recent earnings report. Despite the internal control issues, I think the long-term prospects for Costco remain bright. However, investors must contend with its valuation. At nearly 30 times earnings, Costco stock has become expensive. Costco will continue to offer compelling bargains in its stores. However, its most overpriced offering has become its stock. Although COST stock remains a high-quality offering, buyers should wait for the equity to go on sale.